I’ve previously written about the foods I recommend based on what an obligate carnivore like the cat needs to thrive. In general, the progression from most desirable to least desirable is a raw food diet (either commercial or homemade), a home cooked whole food diet, grain-free canned food, and, if cost is a consideration, any canned food. I do not recommend any dry food for cats (read The Truth About Dry Cat Food for more on why this dry food is not a good choice). But even within these parameters, the available options can be overwhelming. Pet food labels should be a useful tool to help pet owners decide which foods to select. Unfortunately, unless you know how to interpret the often confusing information on the labels, they may only add to the confusion. Pet food manufacturers are required to list ingredients in descending order; in other words, the most predominant ingredient has to be listed first. Look for meat based proteins as the main ingredient. Avoid anything that lists corn or soy and their by-products – these two ingredients are some of the prime culprits for causing allergies in pets. Don’t be fooled into thinking that a food is good for your pet because it lists ingredients such as peas, carrots, cranberries, blueberries and the like. Pets don’t really need these ingredients to thrive, but they make for good marketing to the pet’s human. They can be a source of antioxidants and vitamins, but in many foods, the amounts are not significant enough to make a difference. Manufacturers are required to list basic nutrient percentages on the label. Typically, this portion of the label will list crude protein, crude fat, crude fiber, moisture, and ash content. 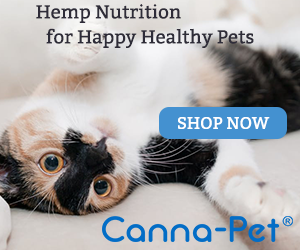 Note that there is no listing for carbohydrates on food labels, which is a very important consideration when it comes to feeding cats, who are obligate carnivores. However, it is not difficult to calculate approximate carbohydrate contents. Simply add all of the listed nutrients and subtract the total from 100% – this will give you a fairly accurate number. This is probably the most misunderstood item on pet food labels. AAFCO, the American Association of Feed Control Officials, is the organization which is charged with establishing and enforcing animal feed requirements across all fifty state governments. Its primary responsibility is to ensure the safety of feed for human food producing livestock. The AAFCO statement on most pet food labels indicates that the food has been tested and approved as “complete and balanced for the life of a pet.” This is sadly misleading. The tests are conducted on very small groups of animals and for very short periods of time. The only real long-term tests of pet food happen when pet owners feed these diets to their own pets! Just like selecting food for yourself and your human family members, choosing healthy food for your pets comes down to educating yourself, reading labels, and not falling for marketing hype. Your pets will thank you for it. Carrageenan: Should It Be In Your Cat’s Food? Dear Ingrid, I have one cat 14 and another 13 one with lymphoma the other with Feline Leukemia, and on Prednisolone 5mg twice a day. I am confused because it seems these guys cant use protein or sugar ie sweet potato and potato starch, Amino acids. I was feeding fish but I had no idea it was bad for them. I have been buying Core 95% as well as Core Kitten all grain free and has no carrageenan. you say Amino acids in protein are converted to energy which causes muscle wasting. yet every thing is high protein. beyond Wild is new it is grain free no ingredients from China, no corn wheat or soy, meat by product meal, artificial flavors, colors or preservatives. this particular brand only comes in Turkey, Liver & quail recipe and a lobster recipe. the carbohydrates which should be low are 1.45? Crude protein is 10.0, fat 6.0, fiber 1.0, moisture 78.0, ash 3.5 and taurine .05. also in some of the ingredients there is Docosahexaenoic (DHE)what is that. I’m not familiar with Beyond Wild, but would be happy to evaluate it for you. DHE is an omega-3 fatty acid. Hello, I was wondering what you think of carbs calculation on a dry matter basis. Is is necessary/important? Thank you! It’s the only way you can really compare different foods, so yes, I think it’s important. I personally think that currently the way mentioned in your article is based on a wet matter basis, which is ‘Simply add all of the listed nutrients and subtract the total from 100%’. But as what I learned from another article( (https://feline-nutrition.org/nutrition/how-many-carbs-in-canned-food), the calculation formula is a bit more complicated, which is on a dry matter basis. Do you think that we do not have to use the more complicated one? I have to confess that math is not my strength and these calculations make my head explode! The dry matter basis will definitely be more useful when you’re comparing different foods. I have a cat who’s getting older (13) and we notice that he tends to throw up bile on a somewhat regular basis, most often when we feed him later than normal or sometimes in the middle of the night. We only give him high-protein wet food (ZiwiPeak, Nature’s Variety) but I’ve seen somewhere that higher protein diets may not be as digestible for older cats. Is this true? If so, what kind of food should we switch him to? Thanks for the link–that’s helpful to know! I talked to our vet and she suggested giving 1/4 Pepcid AC tablets for a few days and see how he does. Hopefully that will help but not sure if it will sustain after we stop giving the medicine. Do you have any feeding recommendations that could help with potential inflammation? A species-appropriate diet that is grain-free and low in carbs should help lower inflammation in general. Hi. Vet put our 10 yr old 11lb small cat on Satiety diet food. She likes it OK and hasn’t gained any more weight. I give her 1/3 of small can of wet food too. She only will eat that small amount and only Nutro senior soft loaf chicken. She is long haired and gives us a hairball about 2X a month. What should I feed her to maintain her weight? She is an indoor mostly sedentary cat. OMG…My head is spinning. We (my son & I) adopted a cat a couple months ago. This is my first time having a cat and of course I want to do the best for him. He is a 3 year old Orange Tabby and just the sweetest thing ever. 🙂 Since we got him we (I) have changed his food probably 4 times trying to find the right one. I am a single mother living on a VERY minimal income so high priced foods are not something I can honestly keep stocked for him so I am trying to find the best, for less. We have currently landed on Purina Pro Plan wet food and Simply Nutrition dry (I know…I need to get rid of this. Ive done calculations and the Purina Pro Plan (if I am correct) has 1% carbs? I do feed him fish, which after reading your blog, I have learned this is not good. Noted. 2. Is the Purina food ok if I get rid of the fish or do I switch again? And if so, is it terrible to keep switching? 3. Lastly, Whats a good, cheaper, food I can try that might keep him full longer. I’m so sorry for all the questions. Any help anyway can give would be SO appreciated. I’d be happy to schedule a consultation if you have more questions. I am so thankful to have found your site! I haven’t given any dry to my cat for over a year and her coat and health are in optimal condition! I use to give Rad Cat to my Torby for almost a year but recently needed to cut corners on my cat food budget. Now, I feel like I’m starting all over again with learning how to read cat food labels. I was hoping you could help. I re-read your article on how to read a cat food label and added up all the crude protein, crude fat, crude fiber, moisture, and ash content. The number I get is 98 (minus 100 =2) Does this mean that the food has only 2% carbs and is that an acceptable amount? Also, the cat food I’m researching is an organic brand called Abound (pouch form not canned). There’s No wheat, corn or soy. No artificial colors, flavors or preservatives or animal by-products. No carrageenan either. And I noticed it has omega 3 (0.75%) & 6 (o.o75%) in it. I feel this may be okay. But I’m still a little uncertain as how to discern the label and make the right choice for my cat. I hate not feeling certain about it and don’t want to give her anything until I’m more confident that this would be a good choice. Any help you can offer would be greatly appreciated! TURKEY BROTH, TURKEY, CHICKEN, CHICKEN LIVER, DRIED EGG PRODUCT, PEAS, CARROTS, POTATO STARCH, NATURAL FLAVOR, GUAR GUM, SODIUM PHOSPHATE, SALT, POTASSIUM CHLORIDE, FLAXSEED, BLUEBERRIES, CRANBERRIES, CHOLINE CHLORIDE, MINERALS (IRON AMINO ACID CHELATE, ZINC AMINO ACID CHELATE, COPPER AMINO ACID CHELATE, MANGANESE AMINO ACID CHELATE, SODIUM SELENITE, POTASSIUM IODIDE), SODIUM CARBONATE, VITAMINS (VITAMIN E SUPPLEMENT, THIAMINE MONONITRATE, NIACIN SUPPLEMENT, D-CALCIUM PANTOTHENATE, PYRIDOXINE HYDROCHLORIDE, RIBOFLAVIN SUPPLEMENT, VITAMIN A SUPPLEMENT, BIOTIN, VITAMIN D3 SUPPLEMENT, VITAMIN B12 SUPPLEMENT, FOLIC ACID), TAURINE, INULIN, SUNFLOWER OIL, FISH OIL, DL-METHIONINE, CALCIUM CARBONATE. Your math is correct, Claudette, and even though a lot of veggies and fruit are listed on the label, given the guaranteed analysis, they appear to be in low amounts, so this looks like a good diet. It looks like Abound is made by Kroger, and there’s no information on the website about where it’s sourced or manufactured. Thank you so much Ingrid for your quick reply! Ideally, shouldn’t the veggies be kept below 2%? I’m thinking Abound is repackaged by some other pet food company (like Soulistic is made exclusively for petsmart by Weruva—which I verified when asking a question and received an email from Weruva). Would you give some tips on how to reach out to a company and find out where they’re sourcing their food. I don’t want to give this to my cat without first researching it a bit further. How can I do this properly so I know it’s a good choice. High quality canned foods will typically contain between 3 and 5% carbs. I would try contacting Abound through their website. I never thought twice about cat food before as I (wrongly) assumed that the cat food on the shelves were healthy. I just adopted two beautiful black cats (brother and sister) and while at the adoption place the lady was asking what kind of food I give my ‘current’ cat and when I responded with Friskies she cringed. I learned that a lot of the fillers are terrible in general grocery store cat food and they also will put in dead cat parts or roadkill. I was floored and never in a million years would have guessed that! That day while adopting I bought some good grain free dry cat food for my fur babies and will never go back. That led to me doing some research as I also feed wet food daily and want to give them the very best. Thanks for the information and reading this I will strive to provide more wet food than I have in the past. I feel confident that I’m picking a good brand along with good, healthy and nutritious treats! I finally got my cat switched over from dry food to predominately wet grain free food. it was the most challenging thing ever, it nearly drove me crazy. we had our cat 1 year and had adopted him at age 6, he was throwing up hairballs every 2weeks when he was on dry and his previous owner thought that was ok as he is a long haired cat. We did the switch over in July and it was at least 2 months of turmoil, he would refuse to eat, cry, eat a food today, walk away from it tomorrow. Finally i can say he is eating wet food, (grain free, carrageen free) and can be a little finicky at times but is bearable. once in a while i give him some grain free kibble , maybe once every 2 months and its only a small fist full, he does love it and gobbles it up. The hairball issue is gone, he will toss his food very infrequently but its cause he eats it too fast or it might be too cold, but i do not worry about it. He is healthy, happy, wants to play and his coat is beautiful. Can’s say enough about getting them off grain based food, its poison. Ingrid, thank you so much for my cat was on the s/d diet for years for Flutd and now on Royal S.O can along with the C/D. Let’s just say she is not a happy camper. That picture at the top of your page with the kitty and tons of cat foo is so right on it on how I feel right now. More education and I am also checking the other sites as well. Thank you for helping us cat lovers. Thanks I will definately let you know. Pam, there is no need to feel like a bad cat mom! We all do the best we can with what we know. There’s always more to learn about how to take care of our cats, and that’s why I started this site. I’m passionate about educating cat parents, and helping cats be happier and healthier. Let me know how CB does with trying the canned food. OMG I am reading this and feel like a bad Catmom. I have been feeding CB dry Royal Canin Indoor cat food for 9 years. Thanks for the info. I am unsure how CB will take it but I am going to try to introduce good canned food. Very helpful and important information to have. Thanks for sharing it. We need to pay special attention to our pets’ food too, especially with all the recent recalls that have been in the news. Marg, I absolutely agree that you should stay away from chemicals and artificial preservatives in food, both for our pets and four ourselves. Layla, I think one of the reasons why cats like some of the really bad foods is that the companies use flavor enhancers that appeal to cats’ palates. Jana, thanks for stopping by – glad you’re finding the information helpful. I have been buying Halo can catfood n noticed after my cats r done they leave whole pea’s n carrots in the bowl. I also bought Wellness but sometimes it makes my IBD cat sick and she is very picky. Their coats r a lot more silky n healthy and no hairballs n no IBD symptoms yet. Still scouting around for the best can food for them that hasn’t been on the recall list too. Any suggestion would be great. Interestingly, I’ve heard from quite a few people lately that their cats vomit after eating Wellness. I’m guessing they may have changed their formula. Thank Ingrid for responding so fast. I am not going to buy any of the Wellness products anymore due to her getting sick more than once. I think they have added something that just don’t agree with her. I am going through your list today and Natures is out of the question due to some of its source is from from China. I have gotten where I am not buying nor trusting anything that suppose to be eatable from China anymore if I can help it. Again, Thank you and for taking the time to help us pet lovers understand what we need to know what is best for our little n big family members. 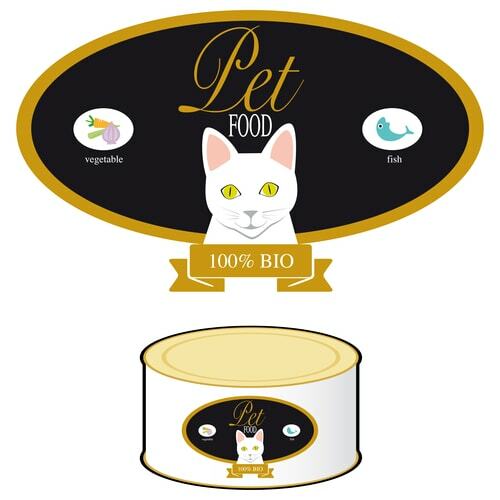 I have found the food with the least amount of ingrediants is what works for Chip, the ones he favors are: Natures Variety Instinct: Limited ingredient diet and his favorite is turkey and duck, First Mate Chicken Formula and the other one is Lotus chicken and Veg pate. there are a few others i will buy but these are his main dishes. i always mash the food so if there are peas or lumps of any sort its all mixed up. Thanks Sepo. I was just wandering if I smashed up those veggies if she would still eat it. Thanks for the sharing the two that works for your pet too. Mine tend to not be able to handle the duck for some reason but chicken, turkey n beef I know she will eat n keep it down. Another problem this year is that, I have notice my two cats seem to keep getting round worms. I clean the litter box daily, have taken them to the bet to be treated n bought worm stuff off the shelf. I even got them on two different flea products that I rotate each month. I do have 2 outdoor dogs that come in house but they too r on flea prevention as well n brand names that is expensive. My vet said it only takes one flea to cause the two cats to keep getting worms. I even vacuuming every other day too. I have never had this problem before n wander I’am wandering if Iam not doing something that I need to do. My two cats r indoor cats too. I haven’t been flea bit so it’s not like my carpet is infested. that I know? Maybe I need to start emptying the whole litter box? Any suggestion would be greatly appreciated. Are you sure that your cats have roundworms, Debbie? Fleas cause tapeworms, not roundworms. Thanks Ingrid for the flea control without chemical site. They did have tape worm rice looking segments at one time n that cleared all up with meds. It looks like round-oval yellowish-white shape worm n sometimes they r flat n roundish. You can take a pencil n smash it with the eraser n it will crumble into smaller pieces. Don’t ask why but I did it. I may just have to take a sample of their poop to the vet which I am not too fond of right now. Still looking for a better vet that I can trust too. I agree with Marg about chemicals, but a little junk food sometimes is okay as a treat for humans and pets. Why do cats like some really bad food? That is great information. I like the chart. I need to go back and study it some more. I actually was reading labels on the cat food cans and was surprised that they don’t list the carbs. The thing I hate the most is the chemicals that are in all the cat and dog food. I try to stay away from chemicals in my own food so feel like the cats and dogs should too.